So you’re ready to apply for admission to Indiana State University. Great idea! 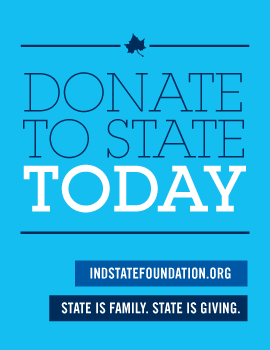 With more than 100 majors and countless ways to get involved, Indiana State is definitely the place for you. Once you’ve completed this first step, you could be on your way to making one of the biggest decisions of your life so far. How’s that for exciting? Blue is Your Future. Let’s get started! Follow the link at right to begin your online application. You’ll find all the instructions you need there.